You have done a great job posting that picture…looks lovely. Shame the season is coming to an end…I shall have to get some more pesto put in jars. The only other “wild” thing I can think of is elderflowers…I have never made the cordial, even thought I have read a lot about making it…must see if Pam has any in the Jam book…can you think of anything else we could get in the wild before then ? By the way, I think the pesto would work with pine nuts it is just that they seem to go off so quickly that I don’t buy them just for the cupboard and then when I need some there are none ! Lynne, my sister makes pesto with almonds and sometimes with hazelnuts and she is a much better cook than me! Off the top of my head for elderflower cordial you need citric acid, lemons, elderflowers and sugar and water. It’s in Pam Corbin’s Preserves book. I think there is a list of seasonally appropriate preserves in there as well for the northern hemisphere that is! I believe you can make something with young beech leaves that is in that book (!) and dandelion wine and I am sure I read somewhere that young hawthorn buds are edible and young ground elder too! Choclette, Celia and Gill have been making wicked chile sauces though. 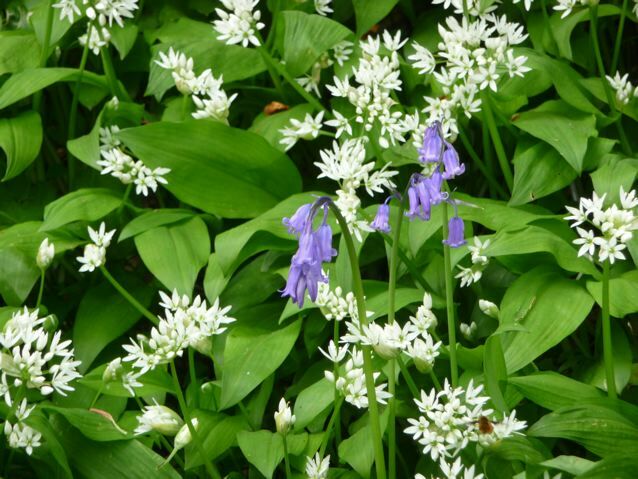 Jo, every year I tell myself I must make some ramsons pesto and I still haven’t managed it. Now it’s flowering am thinking it’s probably too late. Luckily, a friend made a ramsons and ricotta tart which was delicious, so I have managed to partake of some of this years bounty. 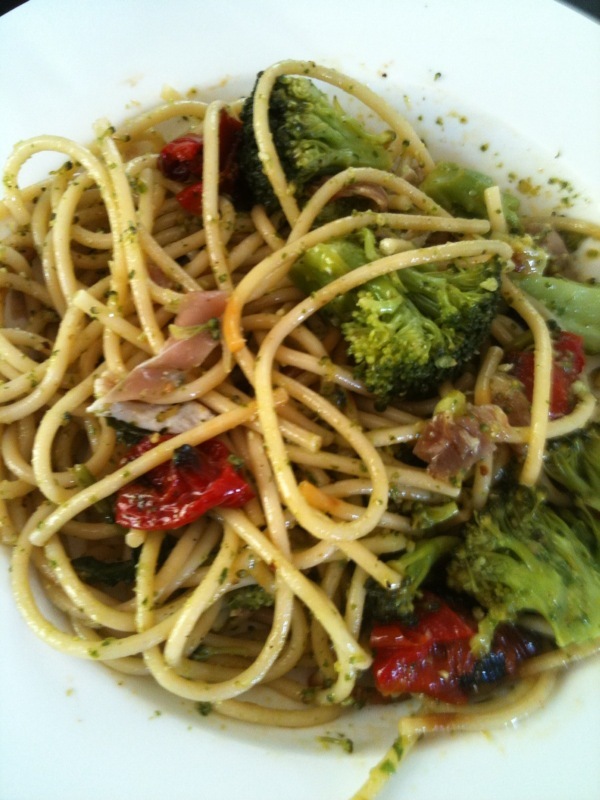 This spaghetti looks good and you’ve taken another winning photo. I can almost taste this! We make pesto from garlic scapes whenever we can – I’m sure this would be similar, although lighter without the cheese. 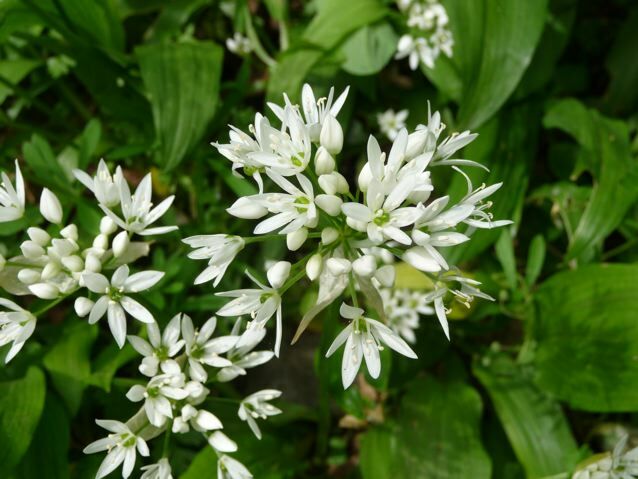 Great way to extend the ramson season even longer! Hmm…you could probably freeze the pesto too.. I showed the family the lovely post Joanna did with the photo and got a chorus of ‘ that was my dinner’. Heehee! I hope they got to eat it in the end!